Attorney Lindsay Rand has been practicing law since 1981 and has worked in the area of Social Security disability since that time. He has represented Social Security clients on a national basis, appearing at administrative hearings and as counsel of record in over 15 states. He has worked as a federal employee and as a claimants' attorney in the area of Social Security law offering representation at all levels of appeal. 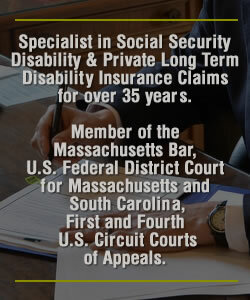 With over 35 years of experience in the practice of Social Security disability law, Attorney Rand’s practice strongly focuses on all aspects of Social Security disability law.